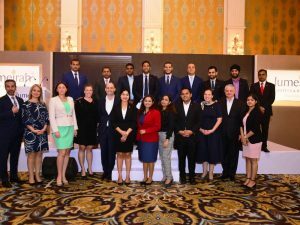 Jumeirah Hotels and Resorts recently conducted roadshows in Bengaluru, Mumbai and Delhi to strengthen the brand’s ties with the Indian travel-trade fraternity. The roadshow was held to further strengthen their relations with the trade and also to introduce the newly-opened properties by the brand – Zabeel House by Jumeirah. Around 18 Jumeirah properties participated in the roadshow, which was attended by over 140 agents in each city. The India market has witnessed a considerable rise in outbound luxury travel in recent years. The group is focusing on expanding and consolidating their ties with the luxury travel segment to reach out to a larger audience and gain a higher market share. The road show serves as a platform to increase brand awareness and gain new consumers. The event was a huge success as the guests were entertained with an hour of stand-up comedy by popular comedian Atul Khatri. 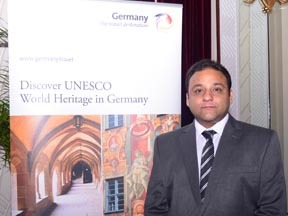 Germany received 329,860 Indian visitor overnights during January-May, 2017, reflecting a 12.8 per cent growth over the same period in 2016, informed Romit Theophilus, Director, Sales and Marketing, German National Tourist Office (India), at the Discover Germany roadshow held in Delhi recently. “We have had a phenomenal year. We grew by 8.6 per cent year on year and recorded over 413,000 overnights last year. By the end of this year, we hope to close nearly 800,000 overnights from India to Germany. We are on track to achieve our goal of a million Indian visitors to Germany by 2020 and hopefully receive 2 million Indian arrivals by 2030,” said Theophilus. He further informed that until now, Germany had especially been very popular for MICE and business travel from India, but lately, the destination has picked up for leisure travel as well. 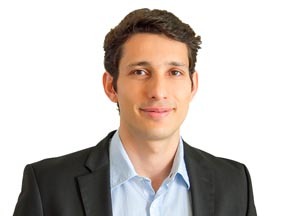 “It is now a 50-50 split between MICE, business and leisure travellers from India, and we are hopeful that Germany will be seen as a choice destination for all segments,” he adds. The next leg of the roadshow, organised by Destination Germany, will be held in Ahmedabad on September 6 and then in Mumbai on September 8. Buoyed by the success of its roadshow this February, The Department of Tourism (DOT), Philippines is back with yet another four-city roadshow for the travel trade in India during August 2016. The roadshow will commence from Taj Bengal, Kolkata on August 8, The Raintree Hotel Anna Salai, Chennai on August 9, Vivanta By Taj, Bengaluru on August 10 and conclude at The St. Regis Mumbai on August 11. The objective of such B2B sessions is to interact and establish commercial ties with Indian trade in these cities. 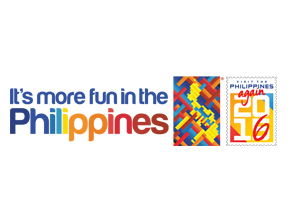 Representatives from DOT Philippines along with a 20-member delegation will interact with over 400 key travel agents and tour operators, MICE and up-market leisure operators. 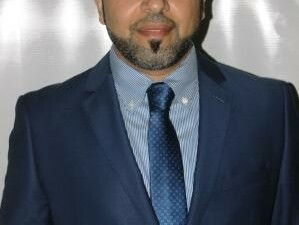 SanJeet, Tourism Attaché, Philippines Tourism said, “The year 2016 is witnessing a strong start for Philippines Tourism, especially from the India market. We believe in putting our best efforts to make every roadshow more promising than the last one. The Indian travellers’ palate has become experimental and therefore, through our numerous trade initiatives, we envisage the influencers of the Indian travel market to sell the destination more effectively to the end consumers.” The program for the roadshow will include presentations by officials of DOT Philippines, DMCs and hotels from the Philippines in addition to Q&A, detailed networking sessions and a special lucky draw for the participants. Odisha received a total of 1,18,53,088 (11.8 million) tourists in 2015, registering a growth rate of 9 per cent, said Utpal K. Pati, Deputy Director, Department of Tourism, Odisha. While 66,971 foreign tourist arrivals were recorded, 1,17,86,117 domestic tourists visited the state in 2015, he said during the state’s roadshow in New Delhi held on March 29. “We are mainly targeting the domestic market, especially tourists from Chhattisgarh, West Bengal and Andhra Pradesh, and will be organising roadshows all over India. The other agenda is to improve connectivity to the region and involve more airlines to start direct flights to Odisha. Since Bhubaneshwar airport recently started operating to international destinations, we are hoping to see a growth of about 7-8 per cent in foreign tourist arrivals this year. We are also aggressively promoting the Buddhist circuit as numerous ancient Buddhist sites are located in the state,” informed Pati. The state tourism department is going orgainse 10 roadshows in the country this year. Visit Scotland gathered its top tour operators and travel trade associations for a roundtable discussion in Mumbai on the sidelines of its three-city roadshow to help push numbers and get feedback from them. Explaining the reason behind this initiative, Vineet Lal, Senior Market Manager (Long Haul & Emerging Markets), Visit Scotland, said, “We along with Etihad Airways met a lot of our top trade partners and travel trade associations in Mumbai to look at how we can increase the volume and value of the Indian market to Scotland. 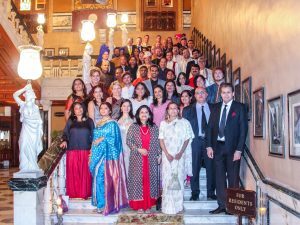 A lot of the conclusions were around the ability to communicate what Scotland has to offer, communicating Scotland’s top experiences and also working on a program of education both in Scotland and in India so that people on both sides understand how to do business with each other.” The Visit Scotland delegation, that includes seven Scottish suppliers, is in India on its India Business Development Mission to encourage the development of Scotland products among the travel trade in India. It was in Mumbai on February 22 and will travel to Chandigarh on February 23-24, followed by New Delhi on February 25-26. Mumbai saw around 100 attendees at Scotland workshop and around 50 at the networking dinner.